Mark Steel, aged 55 years old from Ramsbottom was diagnosed with stomach cancer in October 2015. Mark had begun to lose his appetite and had a lot of wind. A few months later Mark was eating just one proper meal a week, needless to say he had lost a lot of weight. Mark isn’t someone to make a fuss but equally he knew something wasn’t right and made an appointment to see his GP; his third visit to the doctors in twenty five years! Mark was mis-diagnosed as having acid reflux and after eight weeks of medication he wasn’t feeling any better, he now weighed just 40kilos. Mark demanded to have a camera down his throat and was consequently diagnosed with stomach cancer. 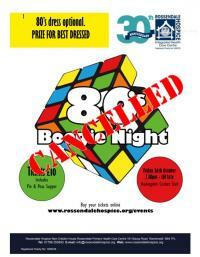 It was Mark’s Macmillan nurse who suggested and eventually convinced Mark to visit Rossendale Hospice. “Trust me, try it” his nurse said and he did. Mark didn’t make an appointment, he simply enquired at the Hospice reception desk. Initially Mark was incredibly nervous until he met one of our Day Therapy nurses Rita. Following his first visit to Rossendale Hospice, Mark commenced 10 courses of chemotherapy each lasting 7.5 hours long. Eight months later the tumour in his stomach has shrunk by 40% and the shadows on his liver and kidneys have gone. He is now on a course of Herceptin and will have to endure 36 treatments of 1 hour each. Mark needs to have regular check-ups every 3 weeks and an EGC and CT scan every 12 weeks to monitor his heart condition as heart failure is a side effect of the Herceptin drug. Mark’s appetite is improving all the time and is now eating four meals a day, slowly he is regaining his former strength and combating the overwhelming tiredness the treatment caused. Mark has returned to work full time as a Contracts Manager for a Central Heating Company in Liverpool. The only day he doesn’t go to work are Thursdays when he looks forward to coming to Rossendale Hospice as a Day Therapy patient where he enjoys chatting to other patients who really do understand how he is feeling. Mark’s next goal is to undertake the Morecambe Bay Walk. 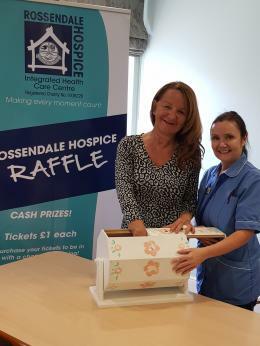 On Sunday 11 July Mark will take part in the eight mile cross the bay challenge to raise much needed funds for Rossendale Hospice, which in Mark’s words is “I will be forever grateful to Rossendale Hospice and cannot speak too highly about the marvellous work done there. The Hospice has given me more time to spend with my wife and children. The Hospice helped me to live again”.